Author(s): Cobble (James F.), Hammer (Richard R.), and Klipowicz (Steven W.). Subject(s): Child abuse, Child sexual abuse, Religion, and Social science/ Social work. 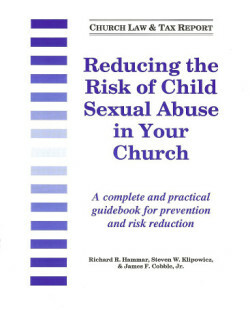 Addresses the most critical legal and moral problem facing the church today — and shows church leaders how to implement an effective prevention program to reduce this risk [of child sexual abuse].